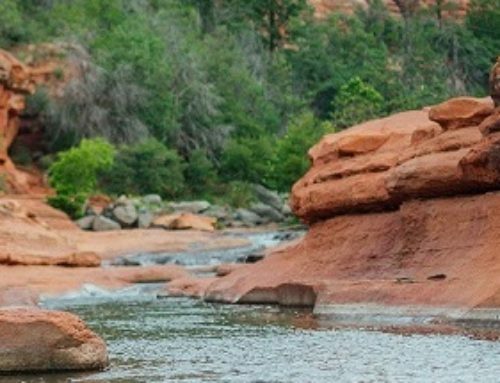 Sedona, Arizona offers mountain biking enthusiasts a range of beginner to advanced trails featuring spectacular red rock views and tough terrain. 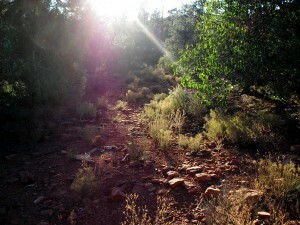 Nowhere else can you find trails that offer Sedona’s unique blend of scenic vistas, slick rock, technical climbs and challenging switchbacks. El Portal Sedona Hotel offers the perfect base for those looking for an exhilarating mountain biking escape, with luxury accommodations and personalized concierge services for Sedona and area to get you out on the best bike trails. El Portal owner, Steve Segner, is an avid outdoorsman who has extensive knowledge of Sedona’s network of trails. 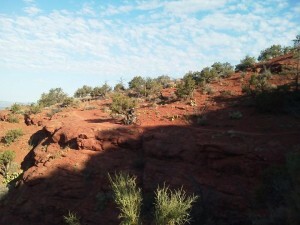 Mountain biking beginners can play it safe on Bell Rock Pathway. This is a great starting place to link up with other, more challenging trails. 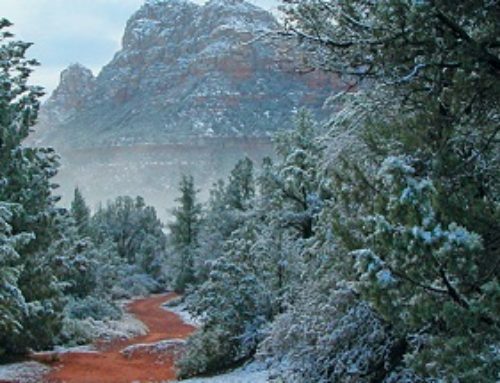 This easy, wide pathway is 3.5 miles one-way and offers up classic Sedona views of Cathedral Rock, Courthouse Butte and Bell Rock. Another great beginner to intermediate trail is Big Park Loop, a 3 mile forest loop with dry creek crossings, semi-technical sections, small drops and step-ups. There is not much elevation change on this trail (+472/-596 ft.) so it makes for a nice, rolling ride. Off of the Bell Rock Pathway, intermediate bikers can pick up the Templeton/Baldwin loop, which is a 10 mile singletrack with spectacular Sedona views. This trail starts off with a fast, wooded downhill dirt track. After intersecting with the HT Trail, the trail heads to the base of Cathedral Rock, where it turns to slick rock and a more technical ride. About .5 miles after crossing Cathedral Rock trail, a steep descent with some tough switchbacks leads down to the creek. The 2.2 mile Baldwin Trail begins when you hit an open field with a fence. Biking reviews recommend heading counter-clockwise on this trail, as it takes you up a moderate climb, around the rocks and ends in a speedy descent back down to the creek, where you can pick up the Templeton Trail to head back to your starting point. Total elevation changes are +1,421/-1,312 ft.
Llama Mountain Trail is a 3 mile singletrack with elevation changes of +621/-696 ft. with more stunning scenery. This challenging trail gives bikers a little bit of everything, including slick rock, wash-outs, big drops and a slick rock bowl at the base of Lee Mountain. Follow the downhill through the trees and along a natural rock bench. This trail has a number of intersections that take you on alternate routes, so it’s a good idea to map out your route before heading out. Overall, this trail features great technical spots and is a highly recommended trail for intermediate and expert bikers. 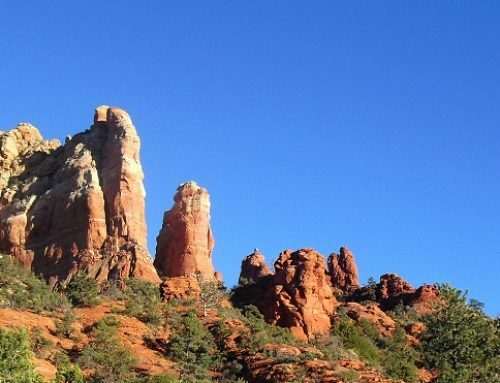 These are just a few of the trails Segner recommends to El Portal guests, and each day in Sedona can feature a variety of challenging and exhilarating rides. After a day of adrenaline on the trails, mountain bikers staying at the luxury inn can return at the end of the day to their well appointed suite and relax on the patio with a glass of wine or an ice old beer, stroll over to historic Tlaquepaque shopping village for dinner or take advantage of a soothing massage at Sedona Spa, located just steps away from the hotel. The twelve room boutique hotel was designed and built with meticulous attention to detail, featuring turn of the century Southwestern design, 18-inch thick handmade adobe walls, recycled wood trim and natural native stone. Each spacious room is distinctive, but all have unique features such as museum quality Arts and Crafts furnishings, soaring beamed ceilings or hand-painted detailing, along with all of the desired modern amenities. It is a pet friendly hotel with pet patios and pet sitting services so your four legged companion will be well taken care of while you’re on the trails. At El Portal we can arrange bike rentals for you as well. For guests that want a variety of outdoor activities, El Portal staff can also make recommendations and arrangements for picnic lunches, jeep adventures, horseback riding hiking tours, and more. Call 1-800-313-0017 today for your mountain biking adventure!